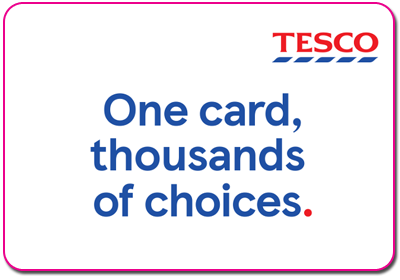 Tesco Digital Gift Cards can be redeemed at over 3,000 UK stores. Customers receive Clubcard points on redemption too! Treat this digital gift card like cash, lost or stolen digital gift cards cannot be replaced. Redeem at any UK Tesco store. Excludes purchases from Tesco Petrol Stations. You can check your available balance at any Tesco store or by calling 03450 757 757. Digital gift cards cannot be exchanged for cash or credit. The digital gift card and balance will expire five years from purchase or last digital gift card use. Damaged, altered or cancelled digital gift cards will not be accepted.